Does a Responsive Universe interest you? Thanks for visiting the Responsive Universe! It is truly my hope that after reading this blog or even my book, the Responsive Universe some of your views and perspectives in life have changed for the better. Hopefully you have found new empowerment and now see the world as a beautiful place with plenty of space and synchronicity. It is not my focus to create any upheaval in your belief systems or to claim one system of thought as wrong or right. My focus is to combine the wisdom of other authors and philosophers like myself and humbly put into words a more palatable vision of this Responsive Universe we live in. I do want to ask tough questions about god and religion but I leave the answers up to you. Each of us has our own path to walk on this adventure in life and only you can answer life’s most intriguing questions. My focus is to propose a fresh viewpoint and hopefully create an environment that may produce small, subtle shifts in perspective. Eventually, when you make space within the mind, clarity will arise within that space and your inner voice will speak wisdom. It is from that wisdom that your answers will materialize. Please remember everything you need in life to find bliss, happiness and healing energy is already found within your True Nature; it is already found in you! The fact that you have made the effort to visit my Responsive Universe domains (whether you bought my book or not) proves that the premise of the Responsive Universe may have opened new doors to your thinking and perception. It has created some interest… Maybe you have found the meditations and daily life practices to be beneficial. Maybe you like my Photos. Maybe you have made small shifts in your perception of life that has moved the pendulum of thought away from fear and fantasy, past and future; to a more mindful existence in the present. Being mindful of the present and finding clarity in the space you created is the evolutionary goal. You should be congratulating yourself because this thing call self-evolution is not an easy path. As you may have found, it is a continuous uphill battle. Yet, the enduring benefits of living in a Responsive Universe are innumerable. As days turn into months and months turn into years, a new person will emerge from that hollow shell of ego and false-self – a self-actualized you! 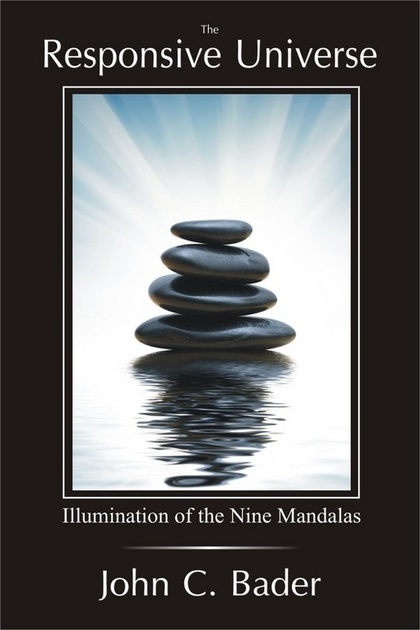 Yet, if you found yourself on my Blog, Facebook or Twitter page and are still hungry for more; please join me as we enter the literary world of the Illumination of the Nine Mandalas. Juicing for People Constantly on the GO! Like you I live a busy life. I am inundated in my Responsive Universe (literally) and also my career in technical sales (yes I have a job outside of books and meditation). Family, playing hard with friends and not always eating right are norms in my life. I counter my busy lifestyle with a juicing regiment that I truly think saves my life. I just don’t eat as well as I should and juicing every other day is my key to wellness. Problem is, when you buy fresh fruits and veggies (especially organic) they tend to spoil quick – and no wants to juice limp kale! So, I freeze my juicing portions! Ok – so in this sandwich size zip-lock bag is the following goodness: Fresh, raw, organic kale and spinach (both are loaded with vitamins and antioxidants). Included are fresh sliced bananas and strawberries, a thin slice of beet and then frozen blueberries and black berries (no sugar added). That’s it! Sometimes I will toss in sliced carrots or red pepper – really anything fresh and bright in color. Mix it up and find your own creative recipes – there are no rules! Then I freeze up to 6-8 zip-lock portions. When it is time to juice I pull a baggy from the freezer and add some coconut water and blend away! Your veggies are always fresh and loaded with everything your body needs to counter free-radicals. I love coconut water in my juices because it is natural and one of the most hydrating fluids out there. Make sure you buy “clean” coconut water. The ingredients should only say coconut and water! Also, if you are really on the go and want to supplement your juicing recipe there are several good whole food vegetable juices out there. Look for the ones that say “pressed” and look for the ones with the least amount of sugar and carbs. The result is something bright, healthy and refreshing. It takes me less than 2 minutes from start to clean up and I swear by this regiment. It is easy, rejuvenating and a meditation in health and wellness. I juice every other day so it is not a labor and I just love it! This is from a guy who does not like veggies. Freezing your portions saves time and money (no spoiled food!) and even 2 weeks later your fresh/frozen fruits and veggies are bright fresh and ready to do their job! Happy Juicing!